The Spring Into Corrimal parade always attracts big growds during the annual festival. FORTY two cars will have their boots open and trestle tables set up for bargain hunters at Corrimal this Sunday. Wollongong City Council’s Giant Car Boot Sale this Sunday is being held as part of the Spring into Corrimal 2012 celebrations, and is expected to attract thousands of people keen to peruse through the pre-loved household items. 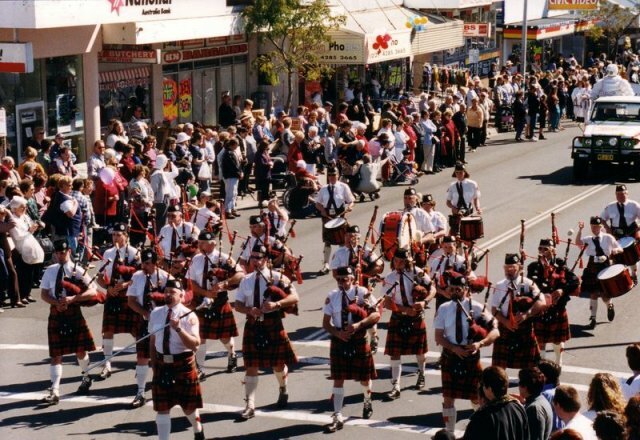 Spring into Corrimal is the largest one-day festival in the Illawarra, attracting crowds in excess of 30,000 from all over the region as well as areas from as far afield as Bega in the south to Newcastle in the north. The festival involves many charitable and community organisations showcasing their wares and services, which includes stalls displaying and selling a multitude of crafts and foods of all varieties and cultures. There is entertainment for all the family including amusements rides, a main stage area and other entertainment situated throughout the festival at various points to cater for all ages and tastes. The highlight of the festival is the Grand Parade, with over 20 entries and marching bands to create a carnival atmosphere. The Parade starts at 10am and will proceedalong the Princes Highway from Collins Street, to Railway Street. Wollongong Lord Mayor Gordon Bradbery said the Giant Car Boot Sales have been an environmental success story, and through them Council have helped to keep more than 48 cubic metres of rubbish out of landfill. “As they say, ‘one man’s trash is another man’s treasure,’’ he said. It’s the second time Council has held at Giant Car Boot Sale at Spring into Corrimal and follows on from a successful Giant Car Boot Sale in Thirroul in June. At last year’s Spring into Corrimal event more than 3000 people stopped by and around 2200 items were sold. Clothes, knickknacks, toys and kitchenware topped the shopping lists. For Sunday’s event all of the 42 car spaces available have been filled and 27 car owners are on standby on a waiting list. “There clearly is an interest in the community to find ways to reuse and recycle household items. I have found many treasures this way – from old books to fancy dress outfits,” Cr Bradbery said. Visit the Spring Into Corrimal website for more information.